India is a secular country where different religions are practiced in harmony. People of all religions live here peacefully. It is a land where several sages and divine souls took birth and spreaded the message of God. 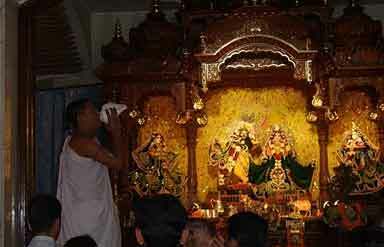 Delhi is such a place where you will find religious places of different religions in plenty. Mainly four religions are followed in this city- Hinduism, Sikhism, Islam and Christianity. Some of the religious centers in Delhi are so beautiful that they have become main attractions of the Delhi tour. Their art and architecture are very impressive. The city is dotted with several churches but the most famous among all are the colonial churches of Cathedral Church of Redemption and Church of the Sacred Heart. Reflecting colonial style of architecture, both of them were designed by Henry Medd. Christians come to offer prayer every Sunday. During Christmas, the Churches attract many a visitors. The city boasts of five important Gurudwaras which are the religious sites of Sikh community. These were built to celebrate the visits of the five Gurus to this city at different times. 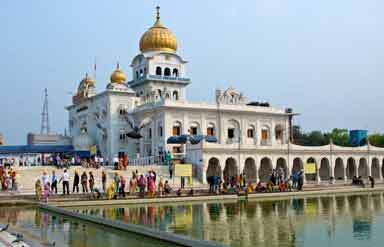 Gurudwara Bangla Sahib, dedicated to Guru Harkrishen, is the most famous one. Gurdwara Sis Ganj is dedicated to Guru Tegh Bahadur. Other popular Gurudwaras of Delhi are Gurudwara Rakab Ganj, Gurudwara Majnu ka Tila and Gurdwara Nanak Piao. There are some beautiful mosques in the city, each having its own unique history. Muslims have been living here since ages. 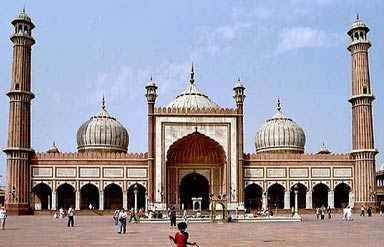 Jama Masjid, the largest mosque of the country is located in Delhi. It is a beautiful mosque and a must visit attraction of the city. Hazrat Nizamuddin Auliyaa Dargah and Moth-ki-Masjid are the other famous mosques. There are numerous temples in Delhi as majority of the people living here are Hindus. Each of the temples has its own beauty and charm. Lotus Temple, Chattarpur Mandir, Kalkaji Mandir and ISKCON temple are the most famous ones. 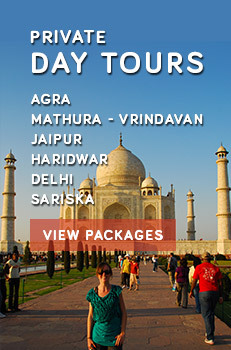 Akshardham Temple in NCR Delhi is a world famous temple and a major attraction of Delhi tour itinerary. It is a staggeringly beautiful temple which intricate carvings. It finds mention in the Guinness Book of World Records as the World's Largest Comprehensive Hindu temple. It attracts thousands of visitors every month. Its architectural beauty leaves visitors completely mesmerized. Its main highlights are exquisitely carved pillars, 9 ornate domes, a magnificent Gajendra Pith (plinth of stone elephants), 20 quadrangle shikhars, over 20,000 statues and floral motifs.